We all want to belong. We all want to think that we are good. We all want to be proud of our heritage, community, and history. We all want to have purpose and meaning in our lives. These are all genuine human desires that are by themselves positive sentiments, but they ultimately leave us vulnerable to manipulation by ambitious political leaders. Because nationalism fulfills all of these desires it has been the ideal political weapon for leaders like Slobodan Milosević, who unleashed the forces of Serbian nationalism as a way to rise to power. But more than fulfilling Milosević’s political ambitions it also released the forces of hatred that tore apart the former Yugoslavia of which the massacre of Srebrenica was a part of. Nationalism rests on an “us versus them” narrative that is more myth than actual history. All past nationals sins must be swept under the rug as a way to make the nation worthy of glory. If it just engendered pride in one’s past, nationalism would not be such a destructive force. Unfortunately, the end result is usually arrogance and hatred. 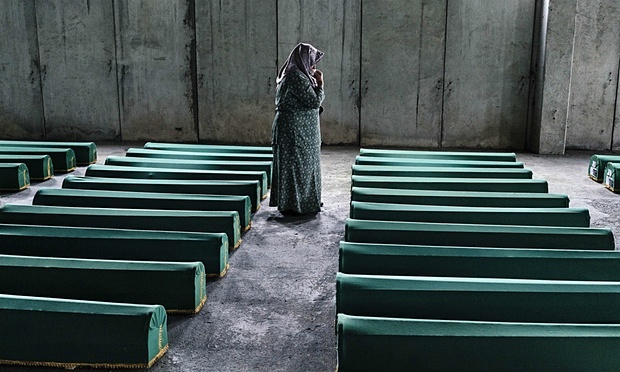 Russia must not be allowed to rewrite Srebrenica’s history | Natalie Nougayrede | Comment is free | The Guardian.